time and here some more information about them. 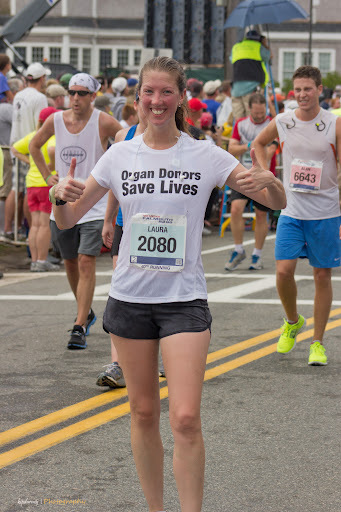 American Liver Foundation – I’ve been involved with ALF since 2005 when I joined the Run for Research Marathon team. I learned a lot about liver disease and the crucial need for research for treatments and cures and education on liver health the our communities. I was able to help the organization work toward their mission as a staff member for several years and met many wonderful people affected by liver disease including Jack Morea and Laura Linehan. I ran 7 Boston Marathons with the RFR team and will run the NYC Marathon in November with the NY Division of ALF. Please visit my NYC Marathon fundraising page to support my campaign. New England Organ Bank – There are over 116,000 individuals currently waiting for a life saving organ transplant nationwide. An average of 18 people die each day because an organ didn’t become available in time. I hope all of my readers consider becoming and organ and tissue donor and please contact me if you have any questions about that decision. Forever Home Rescue New England – In January of 2011 I adopted a wonderful dog from this rescue organization. Thanks to FHR Brittany was transported from her original home in Mississippi where her original owners no longer wanted her and she was living at a foster home with many other dogs hoping to find a permanent home. If you are thinking about bringing a dog into your family, please consider a rescue.